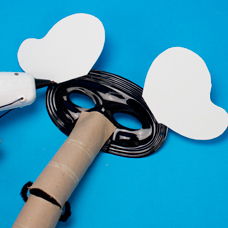 Create an elephant mask and add a moveable trunk using cardboard tubes! 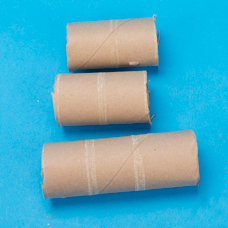 Cut the cardboard tube into (3) pieces; one larger and (2) equal size as shown. 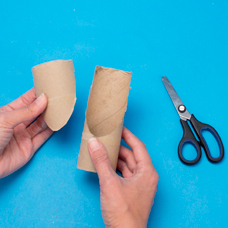 To make the trunk, cut a curved section out of the large cardboard tube piece, as shown. 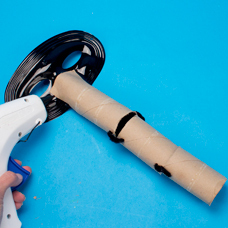 Place one of the smaller cardboard tubes next to the large tube. Using the pencil, make a small mark on both of the tubes and do the same on the opposite side. 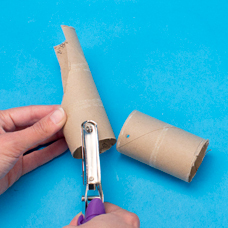 Use the pencil marks as your guide and punch holes in both the tubes. Cut a black fuzzy stick into (4) pieces. 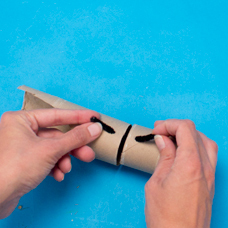 Place the (2) cardboard tubes together so the holes line up. Thread a small piece of black fuzzy stick through the holes. Twist the ends together to close. 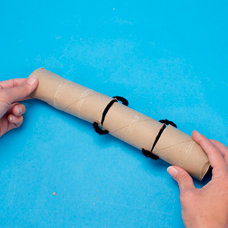 Repeat on the opposite side, so that the 2 cardboard tubes are connected. 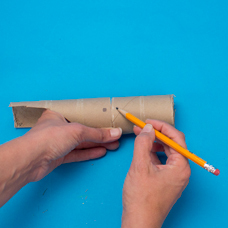 To finish the trunk, repeat Steps 4-6 with the 2nd smaller cardboard tube. 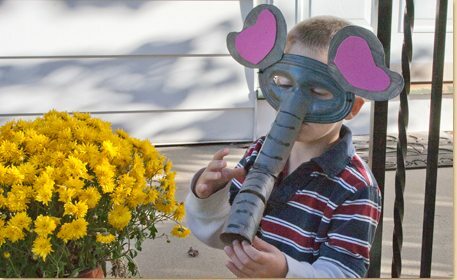 Have an adult glue the trunk to the mask, as shown. 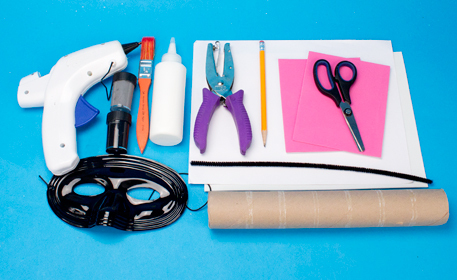 Tip: Remove the elastic cord from the mask to make decorating easier. 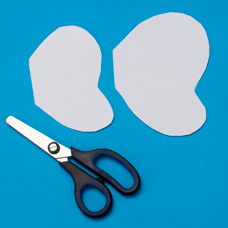 Download, print and cut out the template pieces. To download the template, click the “Template” button. 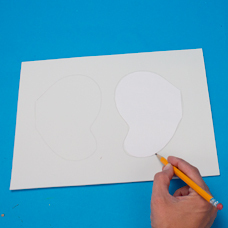 Trace the template for the large ear (2) times on the white foam and cut the pieces out. Glue the ears to the mask, as shown. 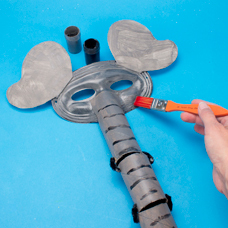 Paint the mask, ears and the trunk gray and let dry. 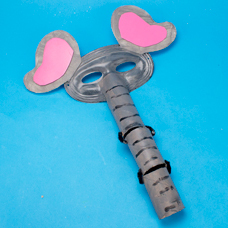 To finish the mask, trace the template for the inner ear (2) times on the pink foam and cut out the pieces. Glue them to the inside of the elephant ears. Replace the elastic cord.